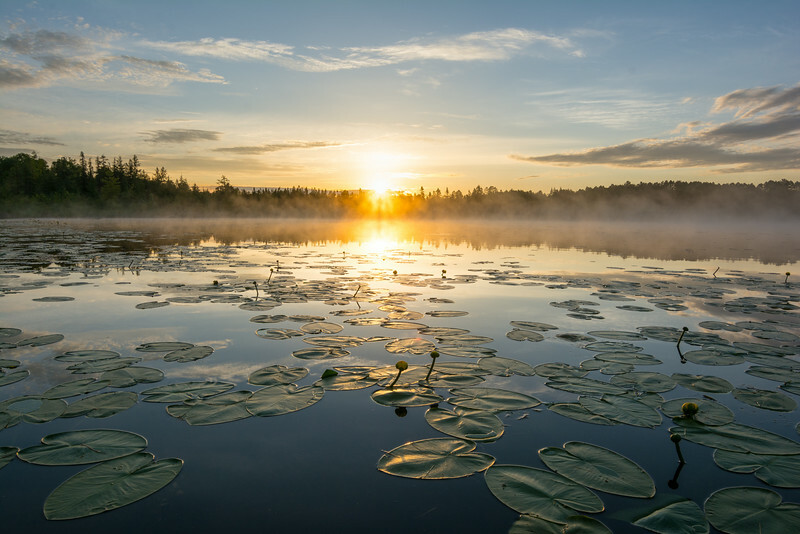 Lily pads catch the first rays of light from the rising sun as fog lifts from Little Bearskin Lake. Yeah, I can't pronounce the name of this image either. The Nymphaeaceae is a family of flowering plants most commonly called water lilies or lily pads.